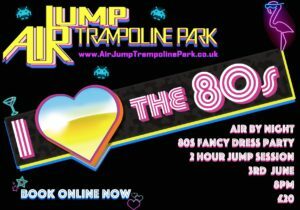 Come and join us on the 3rd June for 2 hours of the 80’s tunes while bouncing the night away. The lights are turned down and the music turned up. What better way to spend your Saturday night.